There are 4 Memory Care Facilities in the Rockledge area, with 1 in Rockledge and 3 nearby. The average cost of memory care in Rockledge is $3,650 per month. This is lower than the national median of $4,650. Cheaper nearby regions include West Melbourne with an average starting cost of $3,575. To help you with your search, browse the 4 reviews below for memory care facilities in Rockledge. Better rated regions include West Melbourne with an average rating of 4.0 out of 5 stars. Caring.com has helped thousands of families find high-quality senior care. To speak with one of our Family Advisors about memory care options and costs in Rockledge, call (855) 863-8283. As nearly 12 percent of the Florida senior population has been diagnosed with Alzheimer's disease, cities throughout the state, including Rockledge, offer memory care facilities that serve seniors with various types of dementia. In Rockledge alone, the senior population of 21 percent is served by four memory care facilities that are regulated by the Department of Elder Affairs and have staff who have been specifically trained by a state-approved instructor. Such memory care facilities are classified as Assisted Living Facilities, or ALFs. 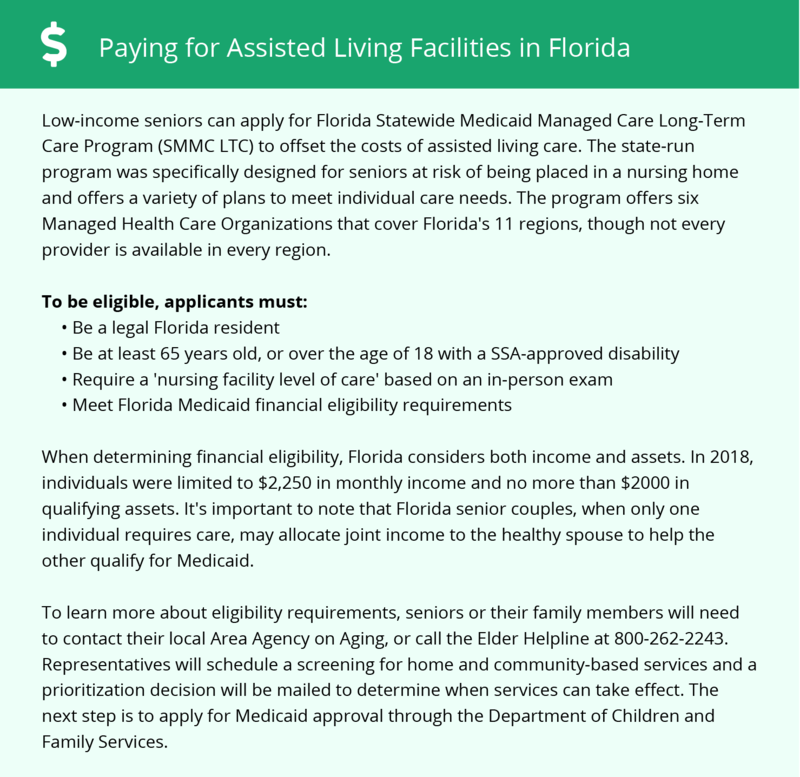 Families of those seeking memory care in Rockledge should be aware of the applicable tax benefits in the state of Florida, a state considered a retirement tax-friendly state. Throughout the state, pension income, Social security retirement benefits and income from an IRA or a 401(k) are all untaxed. This could allow more money to be put towards memory care costs. Because of Rockledge's close proximity to the Gulf Stream, the city experiences a humid climate with two major seasons: a hot, rainy summer from June to September and a dry season with moderate temperatures from October to May. Families may wish to ensure memory care facilities in the area take special care to make sure residents are comfortable at all times, despite varying temperatures or patterns in weather. Families seeking memory care in a city with low crime rates might do well to consider Rockledge. The crime rate in Rockledge is 22 percent lower than the country's average crime rate. Rockledge is home to world-class medical facilities, including those offering neurological care such as Rockledge Regional Medical Center, in the event of medical emergencies or illness. Across the nation, air quality is determined by the EPA, which quantifies the number of harmful air pollutants in each city's air. Compared to the perfect score of 100 and the national average air quality score of 58, Rockledge's air quality receives a score of 71. Because the air quality in Rockledge is nearly 20 percent cleaner than the average air across the United States, Rockledge could be an attractive memory care option for seniors with respiratory conditions. Memory Care costs in Rockledge start around $3,650 per month on average, while the nationwide average cost of memory care is $4,798 per month. It’s important to note that memory care rates in Rockledge and the surrounding suburbs can vary widely based on factors such as location, the level of care needed, apartment size and the types of amenities offered at each community. Rockledge and the surrounding area are home to numerous government agencies and non-profit organizations offering help for seniors searching for or currently residing in an assisted living community. These organizations can also provide assistance in a number of other eldercare services such as geriatric care management, elder law advice, estate planning, finding home care and health and wellness programs. To see a list of free memory care resources in Rockledge, please visit our Assisted Living in Florida page. Rockledge-area assisted living communities must adhere to the comprehensive set of state laws and regulations that all assisted living communities in Florida are required to follow. Visit our Memory Care in Florida page for more information about these laws.